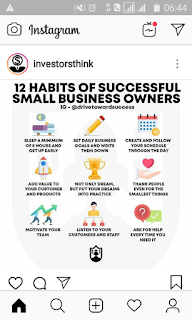 Home / Unlabelled / HABITS OF SUCCESSFUL SMALL BUSINESS OWNERS. 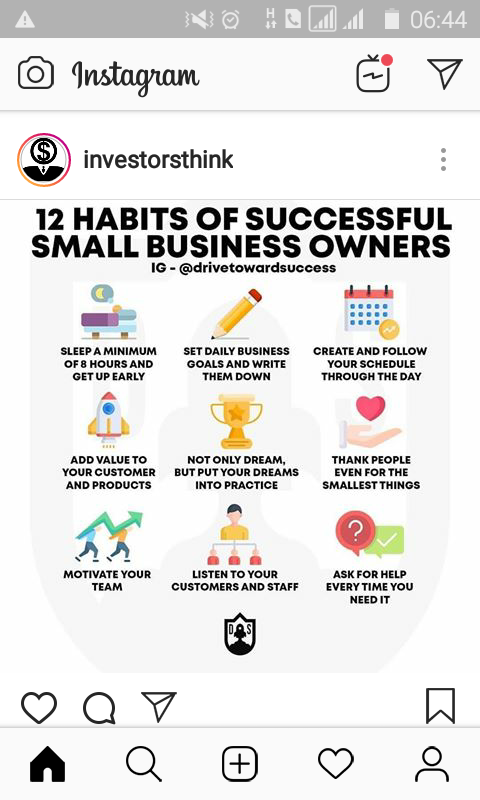 HABITS OF SUCCESSFUL SMALL BUSINESS OWNERS. 1 Sleep a minimum of 8 hours and get up early. 2 Set daily business goals and write them down. 3 Create and follow your schedule through the day. 4 Add value to your customer and products. 5 Not only dream, but put your dreams into practice. 6 Thank people even for the smallest things. 8 listen to your customers and staff. 9 Ask for help every time you need it. 10 Don't forget the rules.